While summer is all about minimal coverage, it’s also the time to rock bronzed skin and bright fiery lips. My game plan? keep eye makeup subdued and let skin and lips take the centerstage. I have the following suggestions! 1. Quit overly-drawn, overly-shaped, overly-concealed Instagram brows and opt for natural-looking eyebrows. With your trusted brow pencil (my fave right now is Marc Jacobs Brow Wow), lightly line upper and lower brow starting from the center going outward following the natural shape of your eyebrows. Fill-in sparse area then brush the hairs from the center going inward using spoolie. 2. 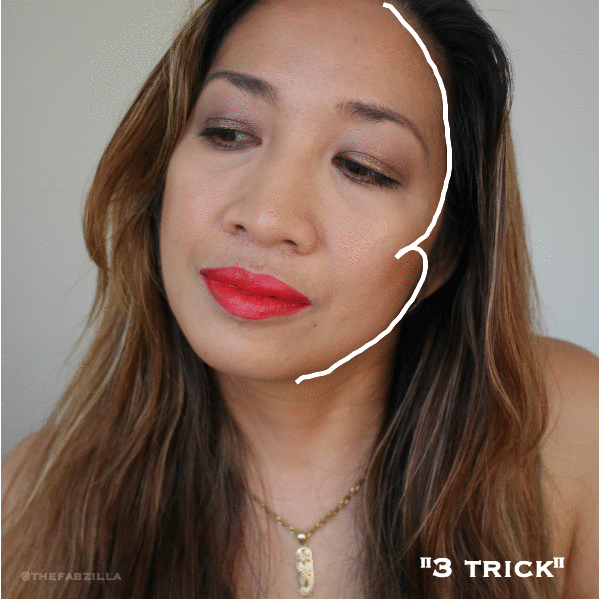 Quit heavily-contoured, sharply chiseled and mega-highlighted cheekbones and opt for sun-kissed complexion (do the 3-trick as illustrated below). With a powder brush, lightly apply bronzer from the forehead, under cheekbone and under jaw in fast sweeping motion, just like writing 3. Then dust nose and decolletage using the same brush thereafter for a more cohesive look. Don’t overdo it, muddy face is never fab. Tanorexic hell to the no. I have tons of bronzers but for this look, I used Hourglass Ambient Radiant Bronze Light (reviewed here). 3. Finish the look with the brightest red, orange or red orange lipstick because it compliments bronzed skin perfectly. I prefer matte finish because it creates the ultimate opaque pigmentation, femme fatale level! 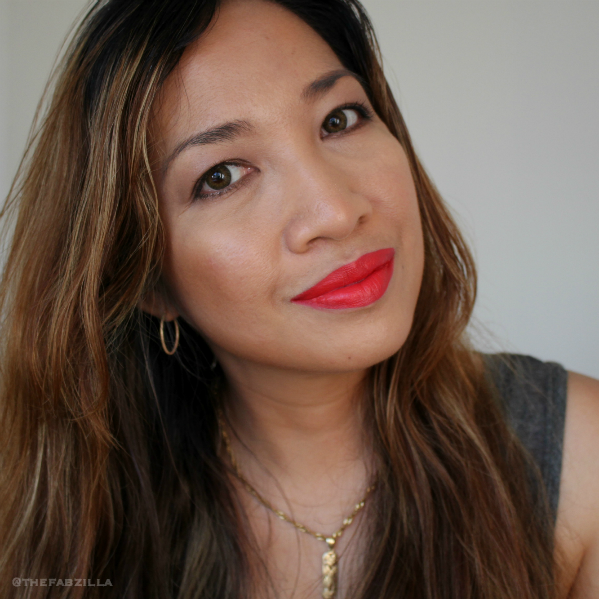 My current favorite is Dolce and Gabbana Matte Lipstick 605 Dolce Fire (I reviewed Inferno and Ruby here). Remember to exfoliate prior to application for better slip and wear. What’s your makeup game plan for summer? Excellent advice/tutorial, and the finished look is gorgeous and perfect for the season! I look TERRIBLE with even normal drawn in brows, lol. I fill in with a pencil and brush it out. I agree that red/orange looks fabulous with bronzed skin, and you are the proof! I always try to teach people when bronzing their skin to do the E and 3 with a light hand hehhe. Love the lip it looks awesome! I need to try that 3-trick, it looks so soft and lovely on you! Yes, yes, yes on quitting over drawn brows and over sculpted faces. 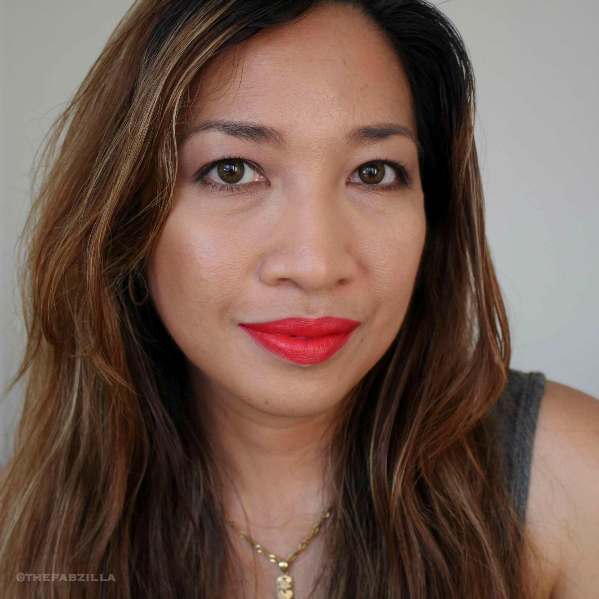 I love this natural look you created, and the pop of color on your lips is perfect for summer. Love that lip color on you!!! All your tips are awesome! You look amazing. Yes to #1! Preach!! Your game plan is on point for summer girl!!! Love that lip on you! You look super fresh and perfect for summer! Your skin looks amazing! Love that lip color on you. Fantastic tutorial and you look like a Summer Goddess. Awesome tips! Huge fan of the Number 3 trick! I always want whatever lippie you are using. Great tips. I only wish I looked half as good in those lip colors as you do. Beautiful! 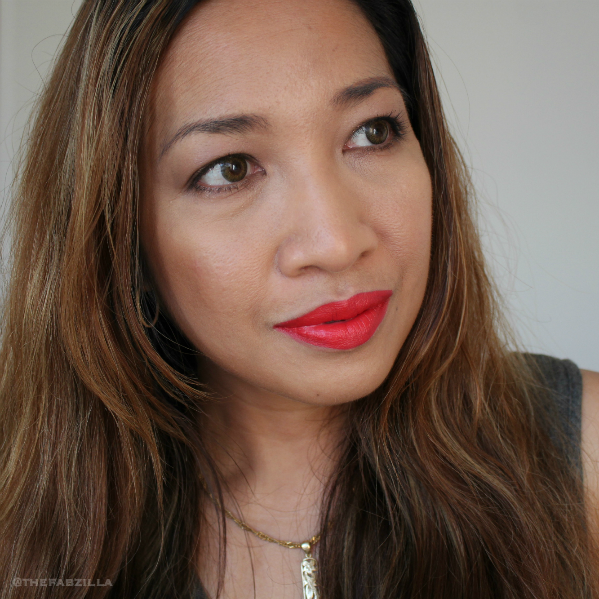 Gosh – that lippy on you is amazing! 😀 Great tips girl. Gorgeous (as always!) and such great tips. Less is most definitely more for Summer. Of course you have the most stunning lip color ever on! I LOVE that lipstick. It's the perfect orangey red!